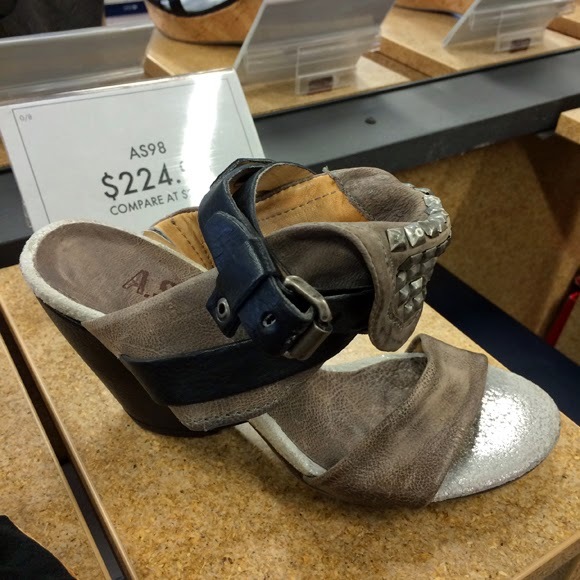 If you're looking for something beyond the usual, pretty sandal for the warmer months, go try on this very hip A.S.98 sandal at DSW 34th Street. Adore this style and the mix of buckle and studs. Below is a web shot for another angle and the full upright effect.